If you would like to donate one or more knitted teddies based on the pattern you will find by following the link below the photograph, please send them on to us and we will make sure they get to children who have very few toys of their own. 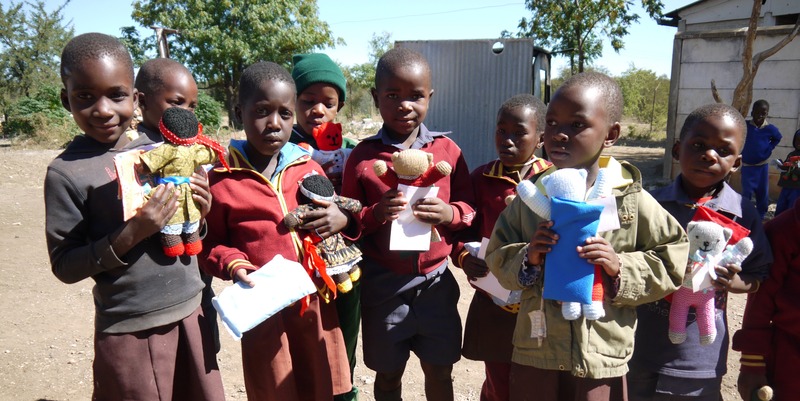 Here are a few of the children at Mgadla Primary School who have just received a teddy knitted by our supporters and a pencil case. Your generosity means a lot to the children. Thank you.